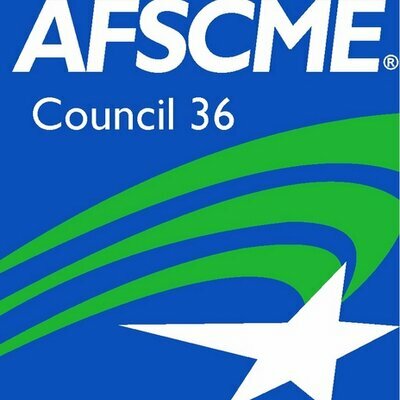 AFSCME District Council 36 is seeking applicants for the position of Executive Director. AFSCME Council 36 is a member governed labor organization consisting of 58 individual unions within its Council representing more than 19,000 members within Southern California. All legislative and policy making lies with the respective Executive Boards and members. The position of the Executive Director shall be employed by the Executive Board and shall serve at the pleasure of the Board. The Council 36/AFSCME Executive Board may negotiate an employee contract with the Executive Director. He/she shall be the Council's administrative and executive officer, and shall devote his/her full time to the Council. The Executive Director shall serve as a non-voting member of the Executive Board. Carry out direction set by the AFSCME District Council 36 Executive board. Providing policy recommendations to the Executive Board. Direct the District Council 36 management team. Assisting various staff with contract bargaining. Enforcing staff policies and procedures. Serve as the chief spokesperson for staff union labor relations. Participate, without a formal vote, in Executive Board meetings. Maintain relationships with AFSCME International leadership and department directors. Serve as the AFSCME District Council 36 liaison to the California AFL-CIO and other labor groups. Overseeing the development and the implementation of the budget and approves all expenditures. Provide day-to-day management of AFSCME District Council 36 offices, properties, and assets in conjunction with the Council 36 Secretary-Treasurer. Work with the President, the Executive Board, and affiliates of AFSCME District Council 36 in the development of leaders and leadership skills. Coordinating and assisting the affiliates of AFSCME District Council 36 in organizing activities and campaigns. Coordinate and assist AFSCME District Council 36 affiliates with the development and implementation of membership recruitment and leadership development. Attend relevant conferences, conventions, and trainings as directed by the AFSCME District Council Executive Board and President. Other duties related to carrying out the mission and the policies of District Council 36 as assigned by the Executive Board. Proven ability to work harmoniously with others while maintaining satisfactory relationships. The ability to manage diverse tasks and interact with the varied constituencies. A clear understanding of organizational development and interpersonal dynamics. A thorough understanding of public and private sector unions and labor law with emphasis on collective bargaining and contract administration, leadership development, training and organizing. A thorough understanding of the political and legislative process. The ability to develop political and legislative strategies to move the Council forward. Knowledge of and the ability to execute personnel policies and labor relations procedures. The ability to exercise initiative and prioritize projects. The ability to organize and manage a large volume of information and to operate multiple offices. The ability to speak clearly, concisely and persuasively to groups of people. The ability to bargain using various methods, including traditional and collaborative, with cooperative and anti-Union employers in the public and private sectors. The ability to prepare clear and concise written correspondence, reports and briefs. Excellent judgment and discretion, ability to evaluate possible courses of action, interests of members and the Union’s strategic goals. Current or former AFSCME or AFSCME affiliate employee. Knowledge of the Southern California political environment. Technologically savvy to move our Labor Organization forward utilizing modern technological tools and services. Salary range is $125,000 to $145,000 dependent upon experience. AFSCME Council 36 additionally offers a competitive and comprehensive benefits package including a defined benefit pension plan, 401k plan, PPO or HMO healthcare options including dependent coverage, Delta Dental plan, term life insurance, long term disability and generous leave benefits. Position to remain open until filled. Selected candidates may undergo 2 or more interviews (in person or teleconference), a background check, and employment/reference verification. AFSCME District Council 36 is an equal opportunity employer committed to diversity, equity and inclusion and strongly encourages all those qualified and interested to apply.